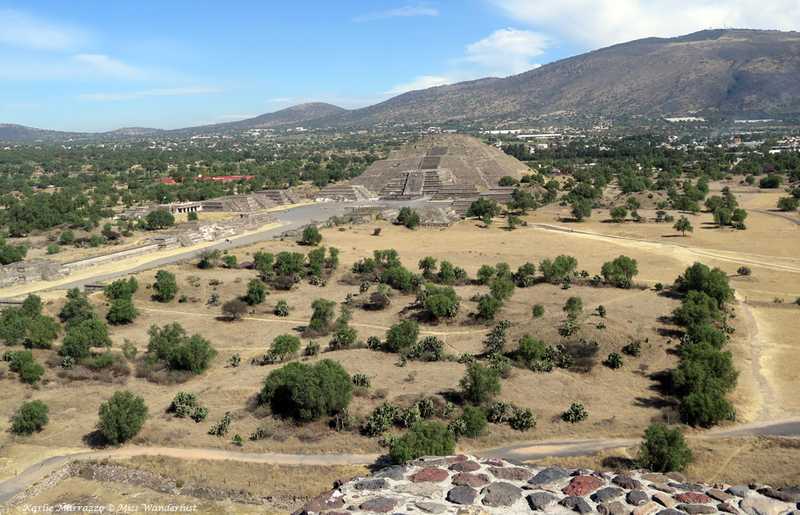 Overlooking Teotihuacan and the Pyramid of the Moon from the Pyramid of the Sun. 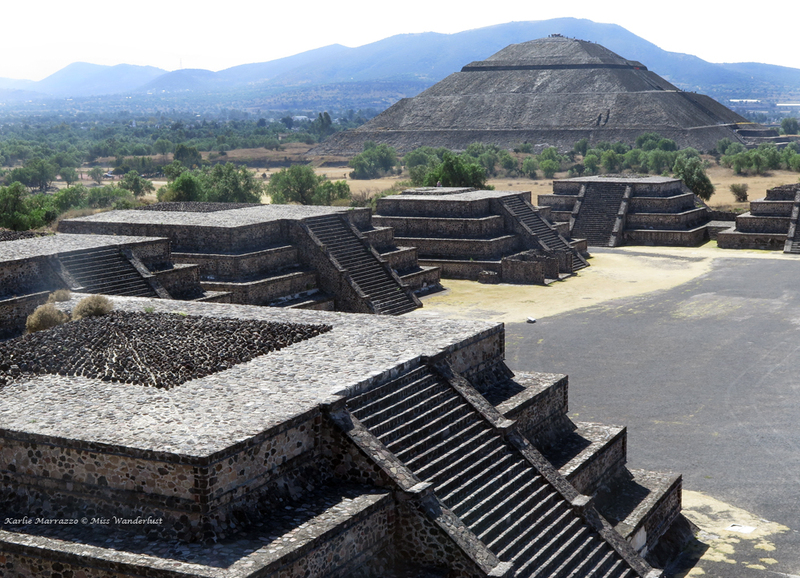 Teotihucan is easily accessible, with buses departing from Mexico City every half hour from about 5am until 6pm. A plethora of tours are available as well. However, since we were also visiting Tula, which is about 90km in the other direction from the city, we hired a private driver for the day. Gerardo, a slight man somewhere in his 60s, picked us up from our Airbnb apartment in Roma Norte at 8am. 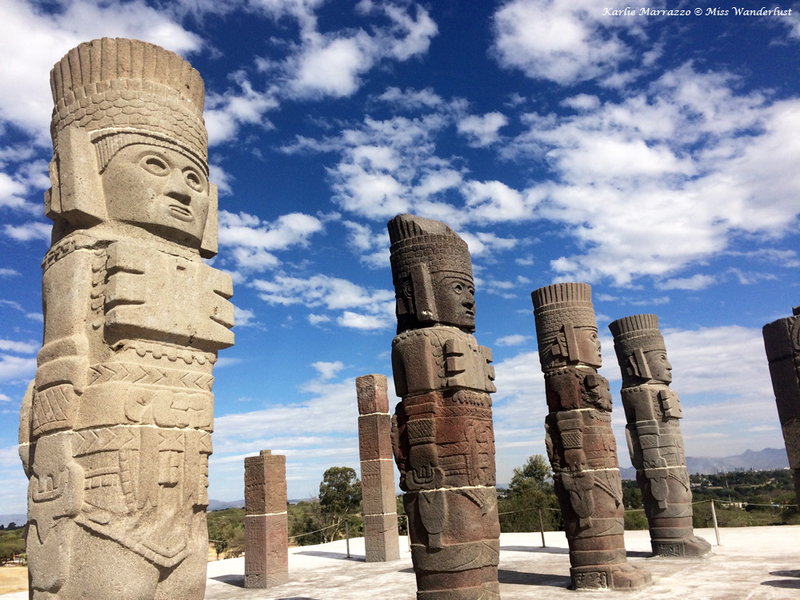 The one-hour drive passed easily, the sprawling metropolis and flat scenery whizzing by, punctuated by stops at the frequent toll roads that dot Mexico’s highways. The parking lot was deserted when we arrived at 9am. The walkway that led to the entrance of the archaeological site was lined with vendor’s stalls, most of them still shuttered from the night before. We stopped at one of the sole open ones to replace broken $5 Turkish knock-off Ray-Ban’s with a $10 pair of Mexican ones, along with a mini English guidebook. The Avenue of the Dead opened up before us as we walked through the southwest entrance into the complex. The absence of other human beings was noticeable and the hot Mexican sun was rising higher in the sky with each passing minute. 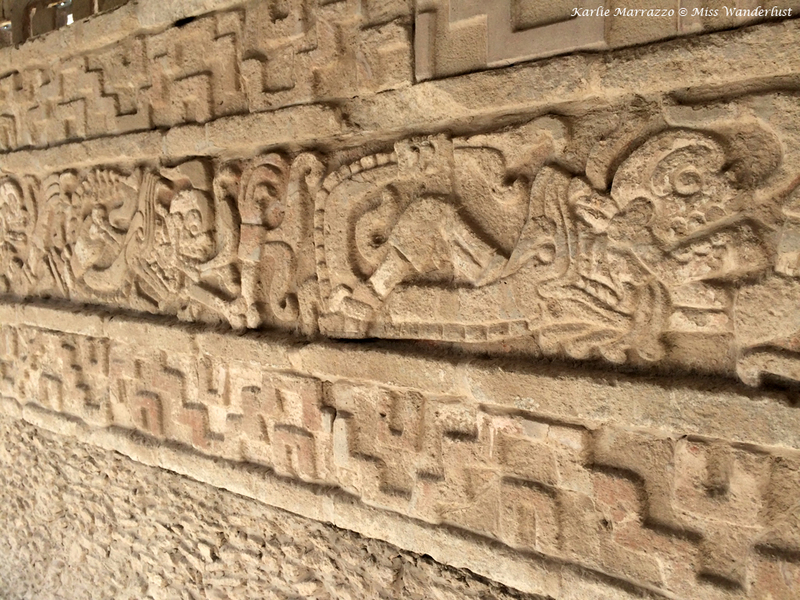 The Temple of the Feathered Serpent rose in front of us like a small hill. We descended a small set of steps through the courtyard of the Ciudadela (Citadel) and then up again before getting a proper view of the temple. 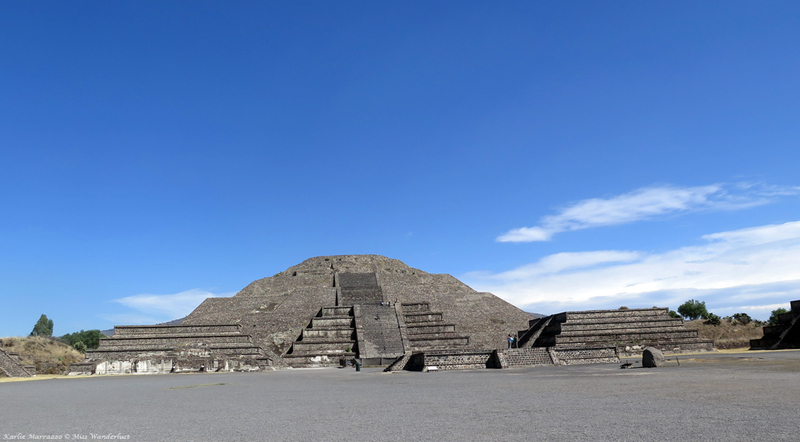 Smaller than the Pyramids of the Sun and Moon, the temple ended up being my favourite at Teotihuacan. The edge of each level of the six-step pyramid is designed with intricately carved serpent and Tlaloc (snake-like creature) heads amidst more fine designs, with heads lining the steps up to the top as well. The pyramid was blocked from climbing, so we sat on the steps, alone except for the woman meticulously sweeping, admiring the structure. Overlooking the Pyramid of the Sun from atop the Pyramid of the Moon. We proceeded north down the Avenue of the Dead, passing numerous sets of platforms and steps, the sun growing hotter and beating down on our necks. The Pyramid of the Sun, the largest in the complex and one of the largest in the world, rose up on our right. The steps were incredibly steep and narrow, forcing me to lift my knees almost to my chest to go from one to the next. Thankfully a rubber handrail has been added in some parts to prevent klutzes like me from tumbling down. The tip of the pyramid was mistakenly added during restoration work in the 1910s. I paused for a few moments at the top, admiring the views of the ancient city on that clear blue day and contemplating the life that went on there so long ago. The Pyramid of the Moon. 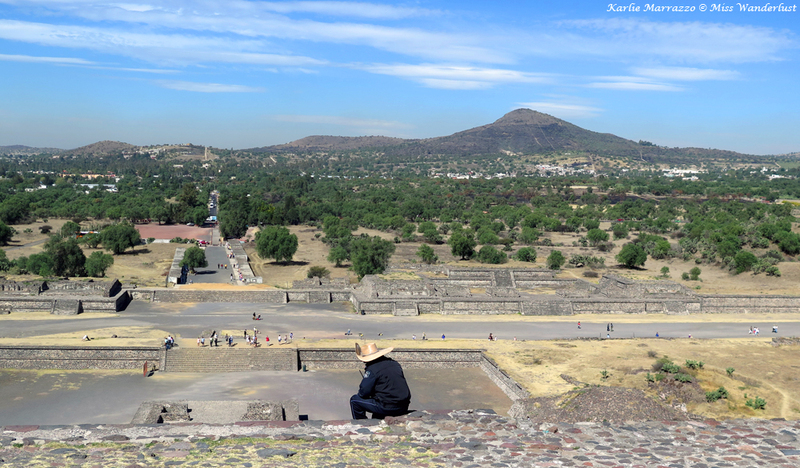 Further on at the northern end of the city sits the Pyramid of the Moon, slightly smaller than the Sun and offering a birds’ eye view over all of Teotihuacan. Cutting it close to our three-hour limit, we booked it back to the parking lot and drove only a couple of minutes to a typical tourist restaurant, the kind found along the highway near important sites all over the world. We devoured chips and salsa, enchiladas and mole. I stepped away to the washroom and when I returned, two cakes and two tequila shots were waiting on the table. Two waiters blindfolded my friend, poured soda into the tequila, and wiggled his head to and fro as he drank the shot, and then did the same to me. Happy birthday! They disappeared momentarily and adorned us with two sombreros, sashes, a gigantic bottle of Corona and a fake rifle before snapping our photo. The drive to Tula took about an hour and a half. Gerardo didn’t know exactly where he was going and often had to refer to his GPS, proving that not many people visit – not even Mexicans. Half a dozen tollbooths later and we arrived at another deserted parking lot. A guard sitting outside of the small, low museum took our payment. To get to the site, we first walked through a cactus garden, the midday sun and dry air almost unbearable by this point. Another pathway lined with abandoned vendor stalls led us to the archaeological site. 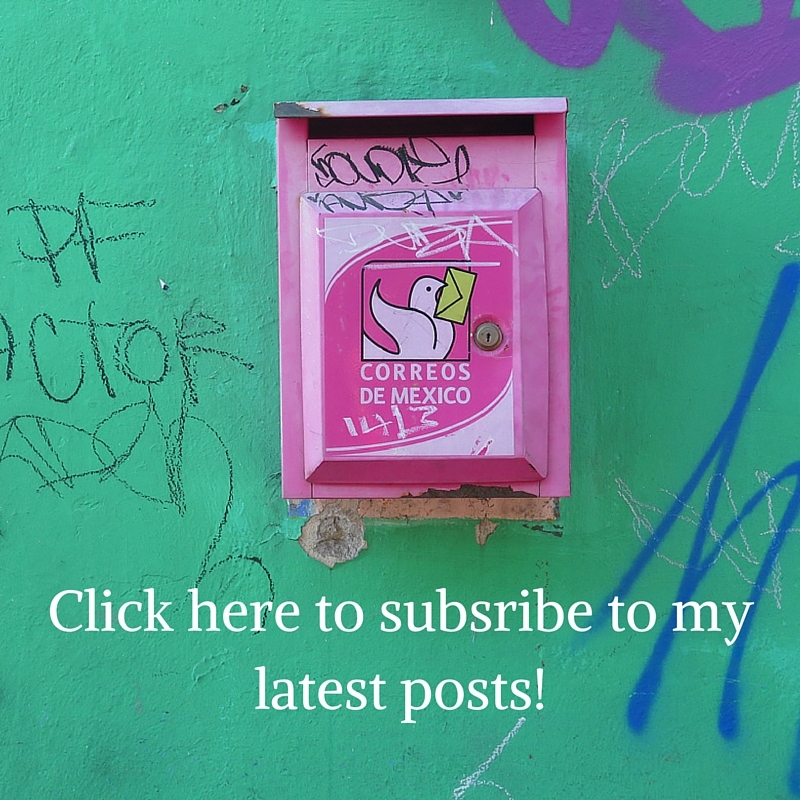 Gerardo was close behind us, bringing a smile to my face as I realized that we were introducing him to something new in his own country and experiencing it together. 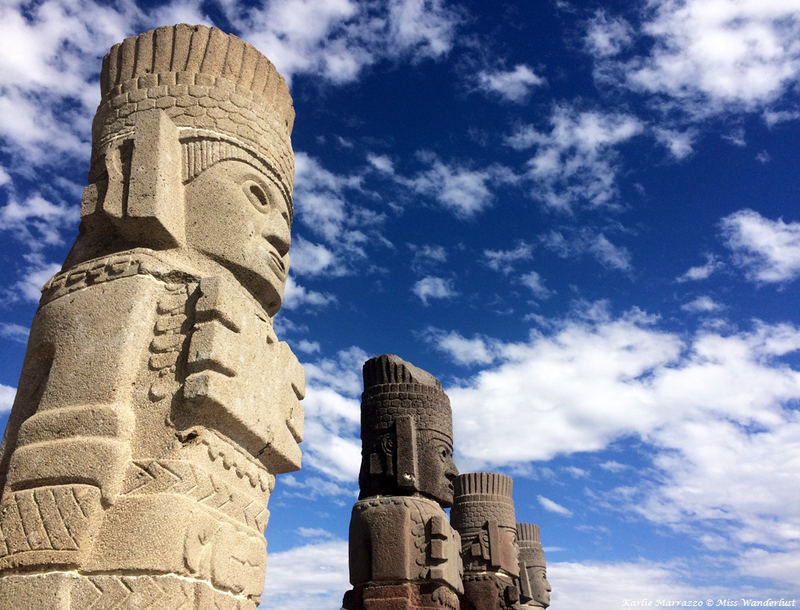 I was drawn to Tula by images of four imposing stone Toltec warriors perched atop a stout pyramid, soberly surveying the land around them. 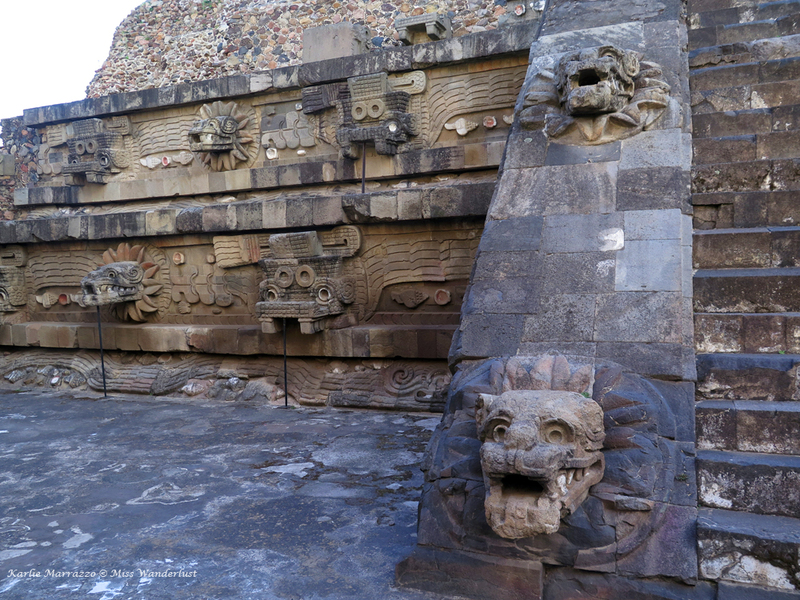 But first, we walked around the base of the pyramid, admiring the awesome carvings of ferocious animals like jaguars, coyotes, and eagles devouring human hearts. There were only two other people at the top and they left soon after. I reveled in the novelty of having an ancient pyramid all to myself. 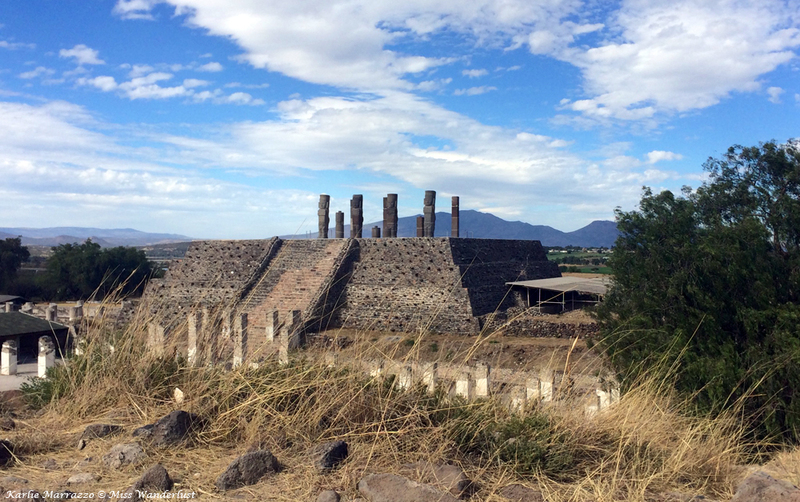 This pyramid stands alone, surrounded by empty land and the town of Tula de Allende, a stark contrast to the tourist magnet that is Teotihuacan. When we were planning this day trip, we debated skipping Tula. I was drawn to it like a magnet and I couldn’t let go of the idea of seeing these warriors for myself, and I’m so happy that we didn’t miss it. I bought a miniature Tula warrior from the only vendor that was open for 20 pesos (about $2CAD) and clutched him in my hand as we wandered through the deserted museum. Back in Mexico City, we devoured a dozen birthday tacos before setting out the next morning for one of Mexico’s culinary hot spots: Puebla. Sounds like an excellent adventure. Love the pictures! It really sounds like a great day trip. I just managed to visit Teotihuacan. Thank you for sharing your experience! Thank you so much for sharing this in Girls vs Globe! 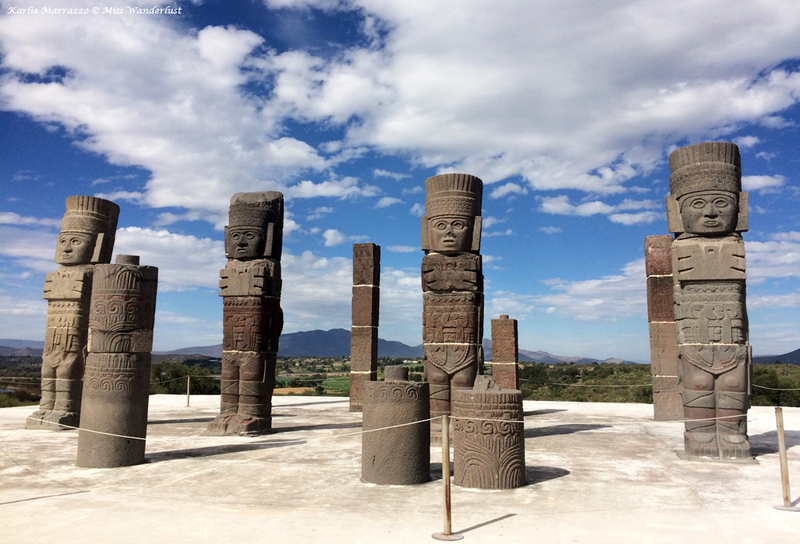 I will be going to Teotihuacan in a few weeks and this was the perfect article! Thank you! Whoa! What a great trip! The details are amazing. I’d love to visit and it’s on my list when I retire, I don’t want to miss a thing. Very neat pics! Thanks for sharing! Thanks for the day trip ideas! So nice that this is only a day trip from Mexico City – I hope I can get there while I’m here 🙂 Thanks for sharing! Great info on your trip! 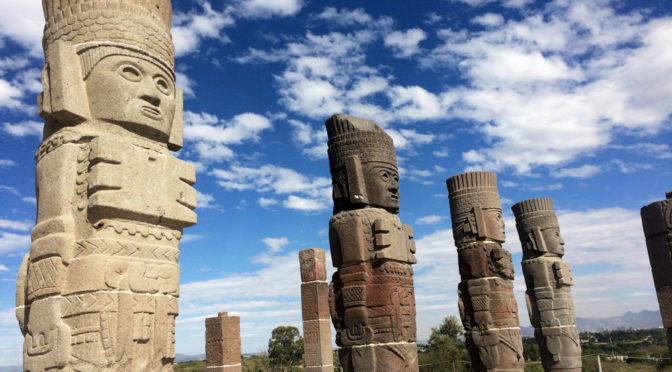 I’m heading to Mexico City next week, how did you find your private driver for the Teotihuacan and Tula trip? What was the cost? Is this he type of thing that we could rent a car and do ourselves? Looks like a fun trip, I’d love to spend more time in Mexico!